Check out these closeups of a collar from an antique Ottoman garment. 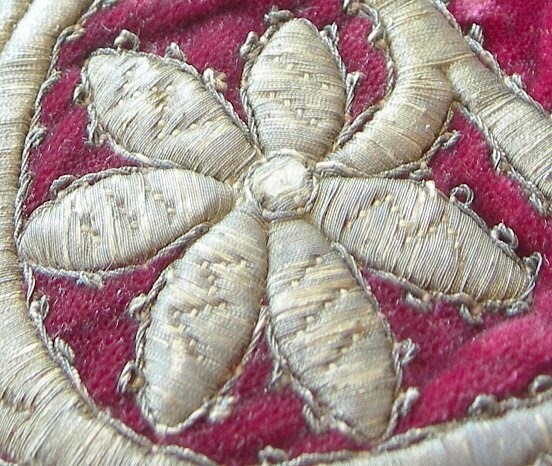 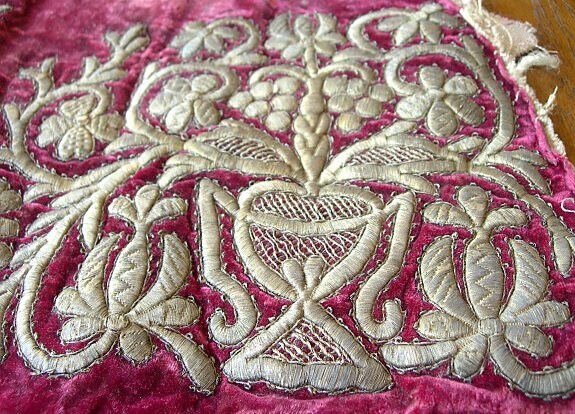 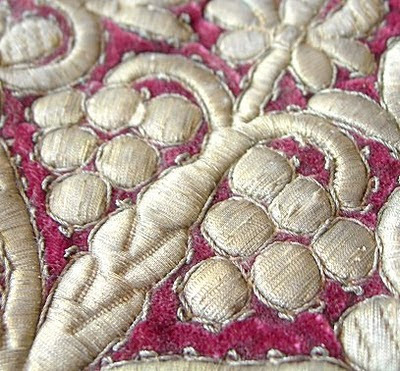 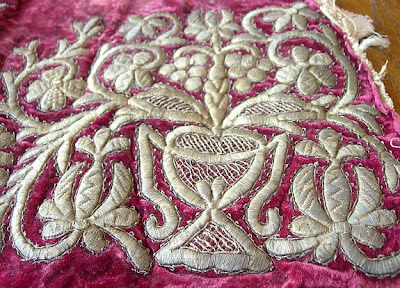 The metal thread is exquisitely embroidered onto red velvet. 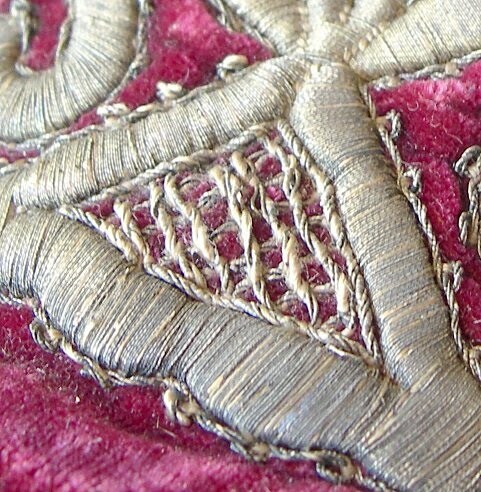 I hope you can see the stitching details enough to be as inspired by the techniques as I am!